London : R. Bentley and Son, 1894. First Edition. Very good copy in the original gilt-blocked brown cloth over bevelled boards. Spine bands and panel edges slightly dust-toned and rubbed as with age. Remains particularly well-preserved overall; tight, bright, clean and strong. ; 8vo 8"" - 9"" tall; 411 pages; Physical desc. : xii, 411 p. : front., illus., fold. map. ; 22 cm. 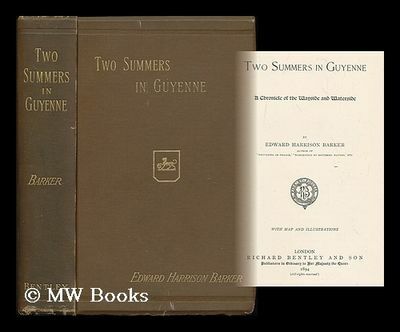 Subject: Guyenne (France) - Description and travel - Travel literature - 19th century..